Founded in 1846, today they are the world's #1 baking soda maker. Record of testing products on animals. Listed on PETA (people for the ethical treatment of animals, USA) 'Companies that test on animals'. This company received a score of 20.4/100 in the Newsweek Green Rankings 2016, which ranks the world's largest publicly traded companies on eight indicators covering energy, greenhouse gases, water, waste, fines and penalties, linking executive pay to sustainability targets, board-level committee oversight of environmental issues and third-party audits. Ranking methodology by Corporate Knights and HIP Investor. This company has been criticised for irresponsible advertising. In 2017 the UK Advertising Standards Authority (ASA) upheld complaints about a video-on-demand ad by this company on the grounds that it breached advertising codes. The ASA concluded that the ad was likely to cause serious or widespread offence and therefore breached the code. The ad was subsequently discontinued or modified. EWG's Guide to Healthy Cleaning provides safety ratings for household cleaning products, with over 2,500 products rated from A (lowest concern) to F (highest concern). 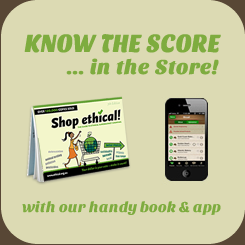 This company's score range is A to F, with over 90% of products scoring a C or worse.